Need a few more beams and not sure where to measure from? 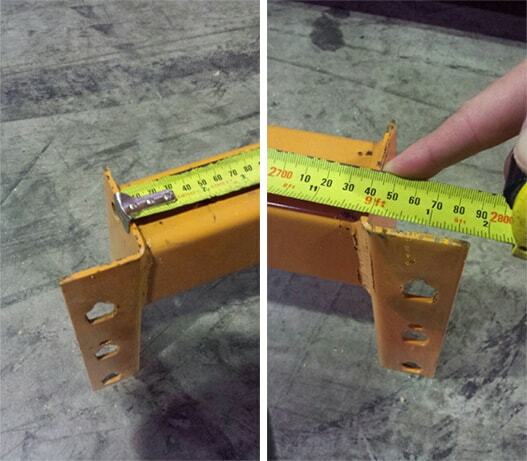 Measuring a beam incorrectly is a common mistake. The below description and the provided images should help you out. To explain simply a beams construction you have a “connector” at either end that clips into the upright frames. And you have the beam “section” which is the part of the beam that the pallets sit on. To measure the length of the beam you place the end of the tape measure on the inside of the connector at one end and measure the same location at the other end, as per the images. Standard beams lengths are 2591mm & 2743mm for two pallet bays, and 1372mm & 1524mm for single pallet bays. To measure the “section” of the beam, simply measure the front face & the top face of the beam section. Standard beams are 83mm x 50mm, and 100mm x 50mm. The type of beam section may also be important, the common section types are ‘box’, ‘i’, open, PFC & RHS. Measuring up a frame is much easier than a beam. You just measure the height of the frame (the length of the posts) and the depth of the frame (front to back). The standard frame heights are every 2 foot from 6′ to 20′. The metric equivalant is 1829, 2438, 3048, 3658, 4267, 4877 & 6096mm. 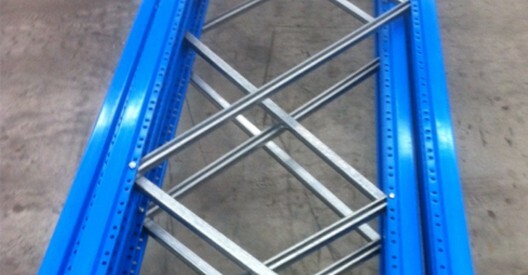 Standard racking depths are 838mm & 1219mm. The brand and any stampings on the upright is also important to understand the grade of the frame. See our Brand Identification page for assistance. We can supply a storage solution at a fraction of the cost of new. ​Rack Plus is a Queensland based company specializing in second hand pallet racking, shelving and many other storage systems. ​We can supply a storage solution at a fraction of the cost of new. We specialize in Dexion but also buy and sell racking & shelving of all brands.